Condo Living at it's Finest! Ground floor unit with 3 bedrooms, 2 bathrooms, walk-in laundry room, open floor plan, and 10 foot ceilings. Fresh pain in past year. Walk-out patio and private front porch entry. Community offers gated pool, beautiful landscaping and active HOA with strong reserve account. These units do not last long and you won't want to miss out. Unit 15 comes with 2 assigned parking spaces and private mail box. Refrigerator, washer and dryer, shelving in master bath to convey. Upgrades include, tile in living, pendant lights over breakfast bar and recessed lighting. 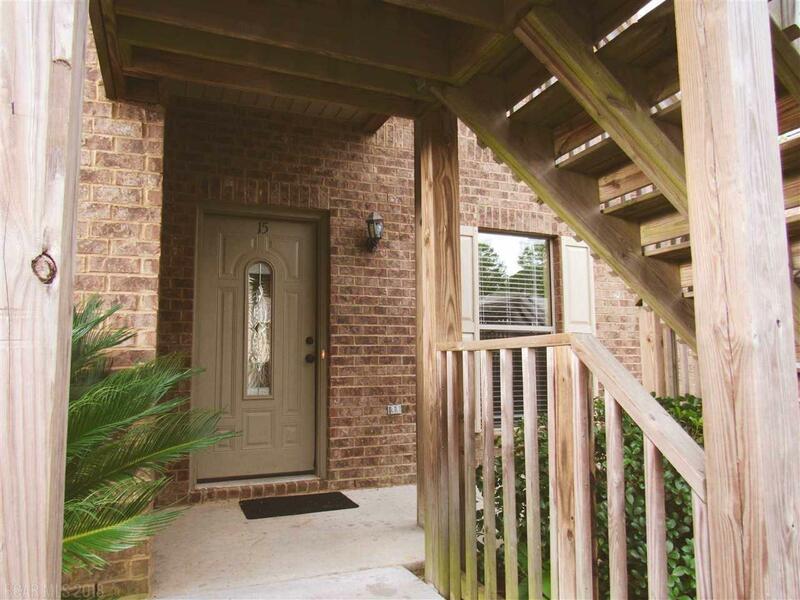 Unit is also handicap accessible with wide doors, minimal carpet and room to roam. Back patio includes an exterior storage room. Must see to appreciate! Listing provided courtesy of Keller Williams Agc Realty-Daphne. Listing information © 2019 Baldwin County Association of REALTORS® MLS.